Brisbane captain Matt McKay has hailed Darren Davies' work at the A-League club after the interim coach announced he doesn't want the job full-time. Brisbane Roar captain Matt McKay has hailed the work of interim head coach Darren Davies. 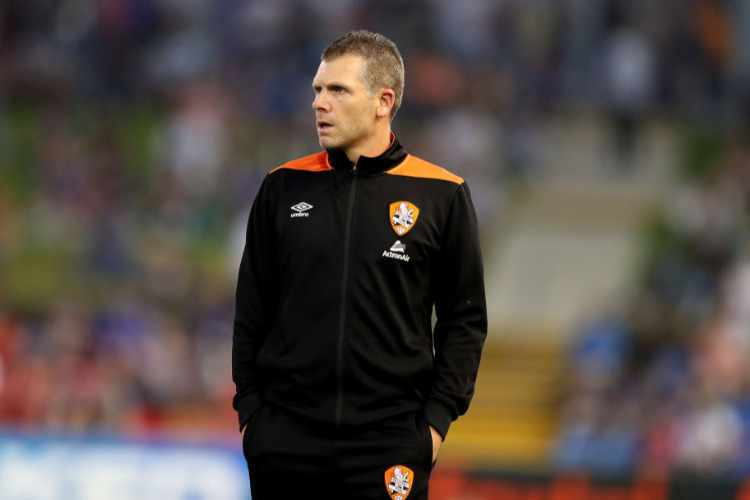 The Welshman confirmed on Friday he won't be seeking to be John Aloisi's replacement full-time shortly after guiding the Roar to a dramatic 2-1 come-from-behind win over Sydney FC at Suncorp Stadium. It was Davies' first win at the helm of the Roar after stepping into the role following Aloisi's resignation just after Christmas. Davies says while the time in the position has convinced him to pursue a head coaching career, the timing isn't right to put his hand up for the vacancy at the Roar. Ex-Socceroo McKay said Davies had done brilliantly to keep the team together during a horror campaign in which the Roar have won just two matches and suffered multiple injury and discipline problems. "It's always a difficult circumstance that he has been thrown into," McKay said. "He's done really well ... he's a great motivator, he gets us going. "You always see the characters when the times are tough and he hasn't stuck his head down, he hasn't criticised, he's supported us and tries to keep us positive." Davies may not be a contender but it's believed there are several in the mix to become the new Roar coach. Ex-England boss Sven-Goran Eriksson has reportedly applied, while Adelaide United boss Marco Kurz and former Liverpool and England striker Robbie Fowler have also been linked to the role. Serbian Gordan Petric is another who is reportedly interested. A selection panel appointed by the Roar is expected to meet next week to further narrow down the shortlist of candidates. Davies says he will stay in the role for as long as he's needed and remains committed to seeing out the 2018-19 season with the Roar.